Thought For the Day: This Is No Dress Rehearsal – Enjoy Life! 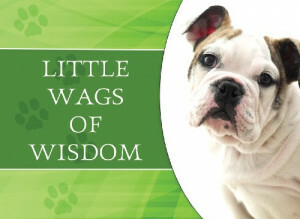 I am so stealing that “little wags of wisdom” in some form for part of a future poem…. This entry was posted in Thought For the Day and tagged Dress Rehearsal, Enjoy, Happiness, Journey, Life, Main Event, Thought For the Day, Wags, Wisdom. Bookmark the permalink.